Unsurprisingly, the Ford Fiesta has continued it’s reign as the best selling car in the UK. Even with the new model expected later this year, the UK public’s demand for the small hatchback has not decreased. The first three months of 2017, saw 41,162 Fiestas registered, even with a 20% drop in new car sales in March. 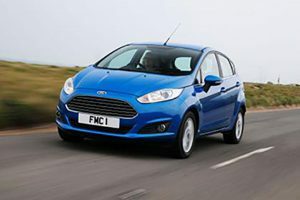 The second placed Ford Focus saw 27,307 cars registered, over 3,500 more than the third placed Vauxhall Corsa.